This is extraordinary scientific research and results. 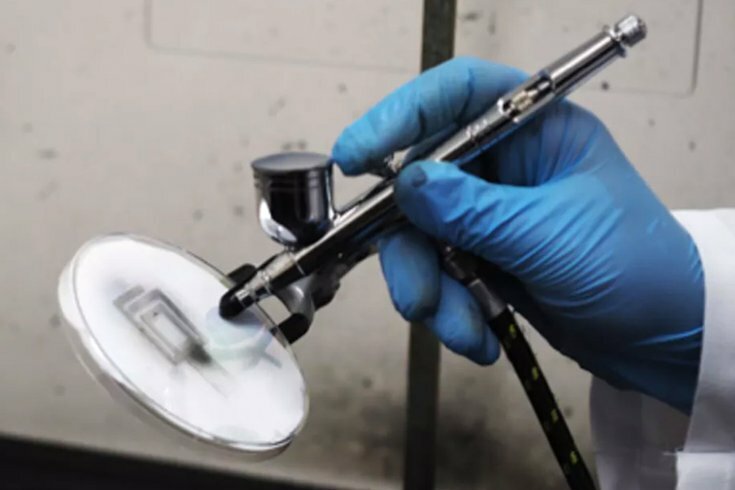 Spray on antennas for a wide variety of objects and surfaces without adding weight, circuitry or requiring rigid surfaces. Scientists at Drexel University in Philadelphia have done it. They've developed a method to spray on invisibly thin antennas onto flexible materials. The exceptional conductivity of the material allows it to transmit and direct radio waves. The potential exists that this new technology could unlock new opportunities in the future of communications. Antennas are crucial for communications between devices. The spray on antennas offer new ways to set up networks and collect data. Drexel researchers believe they will make wearable monitors, smart clothes, industrial and medical sensors much more effective because the antennas are lightweight, transparent and flexible. There's a key to this new tech. The Drexel team has developed 2-dimensional, metallic material called MXene that performs as well as current antenna tech being used in mobile devices, portable transducers and wireless routers. Their research was just published in Science Advances.